Have you ever pulled up your Windows Task Manager and wondered what a specific process was? Perhaps it's gibberish-looking .exe file that's hogging an inordinate amount of RAM. The sites that I'm analyzing today specialize in researching these arcane file processes. Raking in reams of traffic for esoteric searches for things like "QtWebEngineProcess.exe". Besides the absolutely insane search volume for file process terms, people that are Googling these terms are highly engaged. Because, often times they are suspicious of the processes, which might be slowing down their computers or represent some type of threat to their systems. 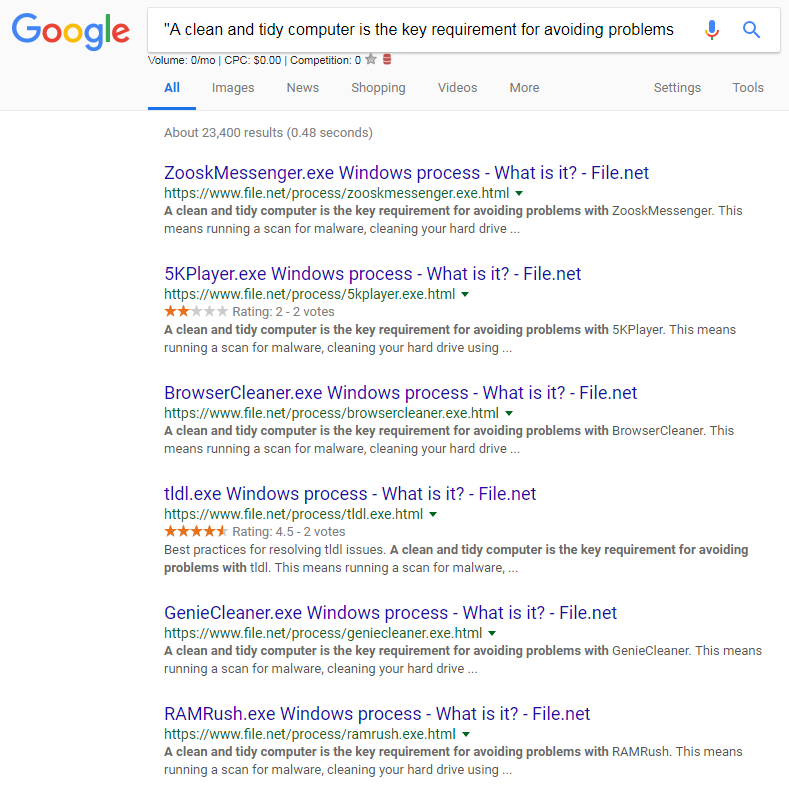 Below, I extracted a 1,000 of File.net's top-performing organic keywords. But, before that, check out File.net's overall metrics- it ranks for 384k keywords, as of July 2018 with a 61 Domain Authority. You can see that these are high-volume search queries with really low KD (Keyword Difficulty). There's tons of search traffic for obscure, low-competition terms- a great recipe for display ad monetization. There are even some affiliate programs you can monetize with, as well. It's a simple formula. Sites like File.net that publish informational content on file processes are able to monetize with display ads and affiliate programs. I've seen many sites promoting this offer- so it must be converting well. Plus it offers 50% commissions and a 60-day referral window. Reimage is an "an online computer repair tool that will automatically fix Windows by replacing corrupt files, leaving your data intact." It's a natural fit with 'file process' content. As you can see in the screengrab below, File.net is linking to the Reimage affiliate program with 2 calls to action in their content. Surprisingly, at the time of this writing, they aren't running display ads on their content. One of the interesting things about File.net is that a lot of the on-page content seems automatically generated or 'templated', as I'd term it. This 'templated' content is used over and over across the site. The keyword they're optimizing for is inserted into what is, essentially, a recurring script. For example, if you look at this page, they're obviously inserting the specific file process name into pre-written text with some unique statistics. If QtWebEngineProcess.exe is located in a subfolder of the user's profile folder, the security rating is 68% dangerous. The file size is 18,904 bytes (28% of all occurrences), 12,288 bytes and 8 more variants. It is a file with no information about its developer. The program is not visible. 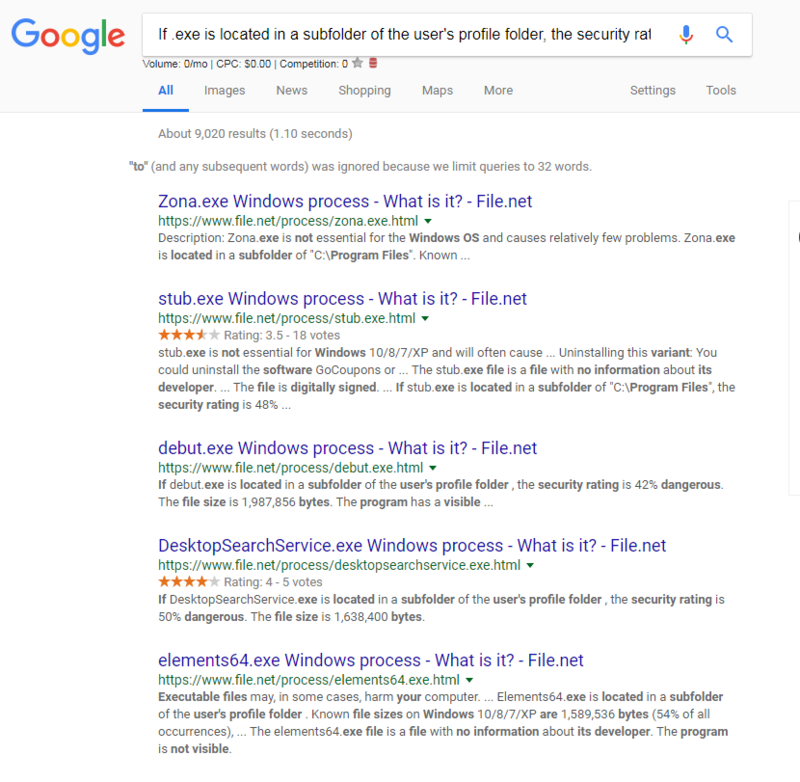 The QtWebEngineProcess.exe file is not a Windows system file. 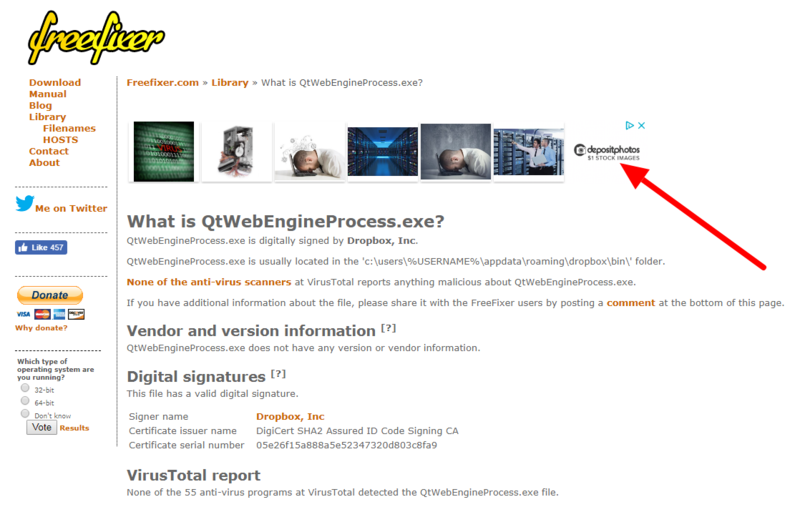 The QtWebEngineProcess.exe file is digitally signed. 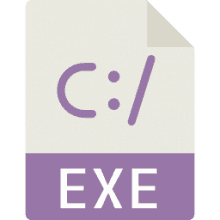 QtWebEngineProcess.exe is able to monitor applications. They're able to create reasonably unique and helpful content using a 'content template' over and over again. This content template, as unique as they're able to make it, still could be considered 'duplicate'. This phrase appears in their Best Practices section, which walks you through some general computer maintenance processes. 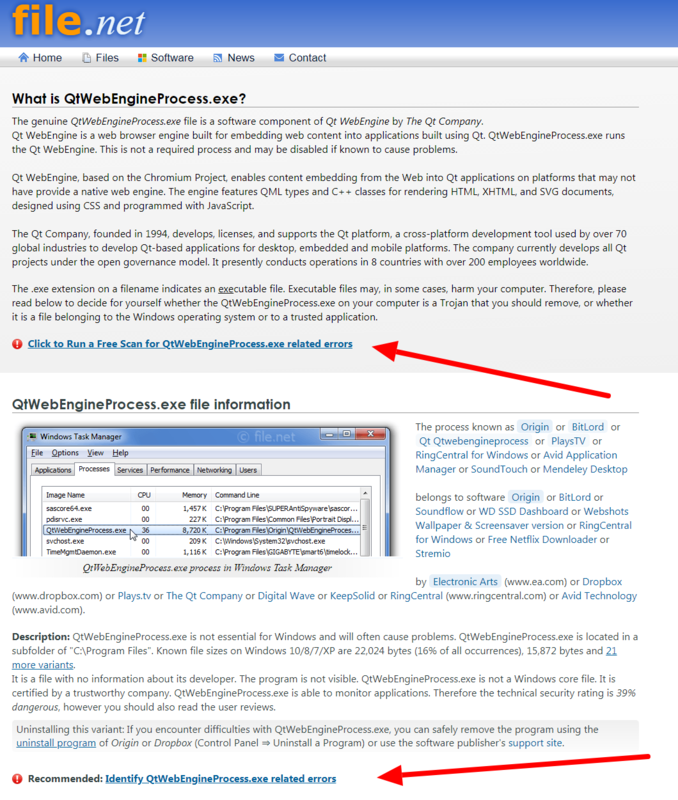 They insert the keyword they're optimizing for into this content, so it reads "A clean and tidy computer is the key requirement for avoiding problems with QtWebEngineProcess." In my opinion, they have enough unique content on page not to get filtered out of Google's search results, or attract a manual review penalty from the Search giants. Plus, there's lots of user-generated content on the bottom of the page- that soaks up even more search traffic. You can see that there's only one result matching that term in Google. It's a clever strategy. They do provide useful information, but this is definitely a gray-hat content strategy. Many of my favorite niches have a familiar commonality: tons of low competition searches. And this niche is rife with low competition search terms. If you can build out a scalable content creation process, you can churn out content that gets a lot of organic traffic. The content can be very dry and technical. If this bores you, you might lose interest in the niche. That said, if you hire writers to produce it for you, it shouldn't be too much of a problem. I produce a lot of content in this space. I have 3 writers currently and I am, for the moment, functioning as the editor. So I clean up the content a bit, add videos, images, and generally make it as useful and optimized as possible before publishing it. It's also a very SEO-dependent niche. This isn't a visually rich niche- so you can't expect traffic from Pinterest or lots of Twitter followers applauding your QtWebEngineProcess blog post. You'll be depending almost soley on organic traffic- which is great, but just be aware of that going in. If you're interested in this niche, I'd recommend just going the general route. You can pick a domain name like FileAnalysis.com or FileHunt.com and begin sniping some of these mega search terms. I'd use Ahrefs, KWFinder & LongTailPro to do keyword research. I'd recommend writing the first 25 articles yourself so you can understand the nuances. And then you can figure out how to hire a writer to do it for you. Write up a training guide (click to swipe my UpWork training scripts) and send it to UpWork writers. In terms of content cost, currently I have several writers. The cheapest is writing content for $1 for 100 words. A real bargain. You can find low-cost writers in India to produce this technical content. It doesn't necessarily have to read like Native English- a lot of the sites in this niche are using non-Native-English writers. But, it's up to you. You want the content to be readable and high-quality, but Native English writers are going to drive up your costs. Once your content is getting decent traffic, I'd consider contracting with Mediavine or Ezoic to manage your display ads. I'd also consider joining an affiliate program like Reimage and promoting it using a plugin like AdInserter to dynamically insert the Call To Action throughout your content. That's the barebones process. You build the content, you get the traffic, and you cash in. This is a cool niche to be in if you want to easily rank for high-volume terms.